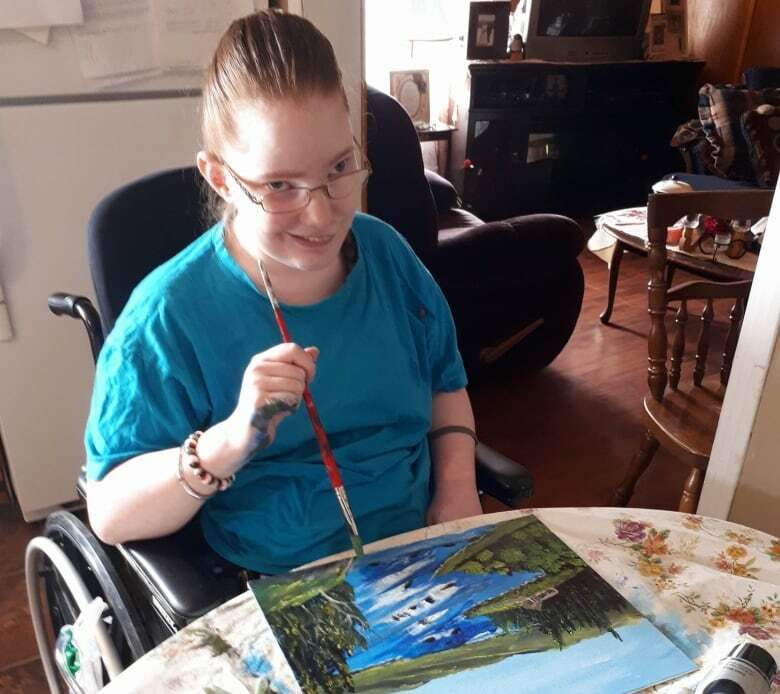 A St. Anthony, N.L., mother who claims she was told by a doctor that assisted suicide was an option for her adult daughter says she wants an apology from Labrador-Grenfell Health, in part because the 25-year-old could hear the conversation. Sheila Elson's 25-year-old daughter, Candice Lewis, has several medical conditions, including spina bifida, cerebral palsy and chronic seizure disorder. During a hospital stay in St. Anthony last November, when Lewis was very sick, Elson said a doctor told her that her daughter was dying and that she had the option to end her life. According to Elson, Lewis was within earshot when the doctor made the comment — which she said was quite traumatic for her daughter to hear. After talking with some social workers, Elson was told she wouldn't be able to make a decision on ending her daughter's life, even if she wanted to, and that it would have to be made by Lewis herself, who is capable of verbally communicating. Elson said the incident is the most recent example of alleged mistreatment from Labrador-Grenfell Health. In one example, she said, a nurse referred to her daughter as a "frequent flyer" at the hospital — which Elson said was insensitive to say about someone with so many health issues. "She's sick. [When] she gets sick, you take her to the hospital," Elson said. "Whether she's there 10 times a week or 25 times a day, she's still a human being." Elson said that after the doctor spoke about the assisted suicide option last November, she started pressing for a response from Labrador-Grenfell Health. She said she was told the doctor didn't intend to cause her distress, but Elson said she still wants a formal apology from the health authority. "I didn't want another family going through what we went through. People like her are being mistreated, and enough is enough," she said. "I'm not going to let them walk over her and mistreat her anymore." CBC contacted Labrador-Grenfell Health to respond to Elson's claims, and the authority said it could not discuss details of the case, but had been in contact with Elson and has offered her the opportunity to meet with members of her daughter's care team at her earliest convenience.